The normal foot should have a noticeable arch on the medial (inside) aspect, between the ball of the foot and the heel. It is common to see problems associated with a diminished arch leading to a condition known as “Flat Foot”. However, pathologies also arise when the medial arch is higher than normal; this high-arch condition is called Pes Cavus. High arches are usually due to various Neurological Disorders or a Structural Abnormality. If you have high arches than you may be experiencing various problems that may lead to more serious injuries. We have seen a higher incidence of specific pathologies resulting from high arches that are due to structural deformities rather than neurologically induced high arches. A non-neurological, high arch is usually less flexible, so when the arch experiences increased weight, the arch does not collapse closer to the ground as you are more likely to see in high arches due to neurological issues. Let’s go through a quick anatomy lesson so that you can understand this. There are two peroneal muscles (Peroneus Longus and Brevis), which originate from the lateral aspect (pinky toe side) of the leg and their tendons run together through a groove, which is located behind the lateral malleolus (outer ankle). The tendons are secured in the groove by a tendon sheath and retinaculum which allows the tendons to use the groove as a pulley to move the bones of the foot as the muscles contract. When the two muscles contract together they cause plantarflexion and eversion of the foot. However, due to their insertion points each muscle has a specific action. 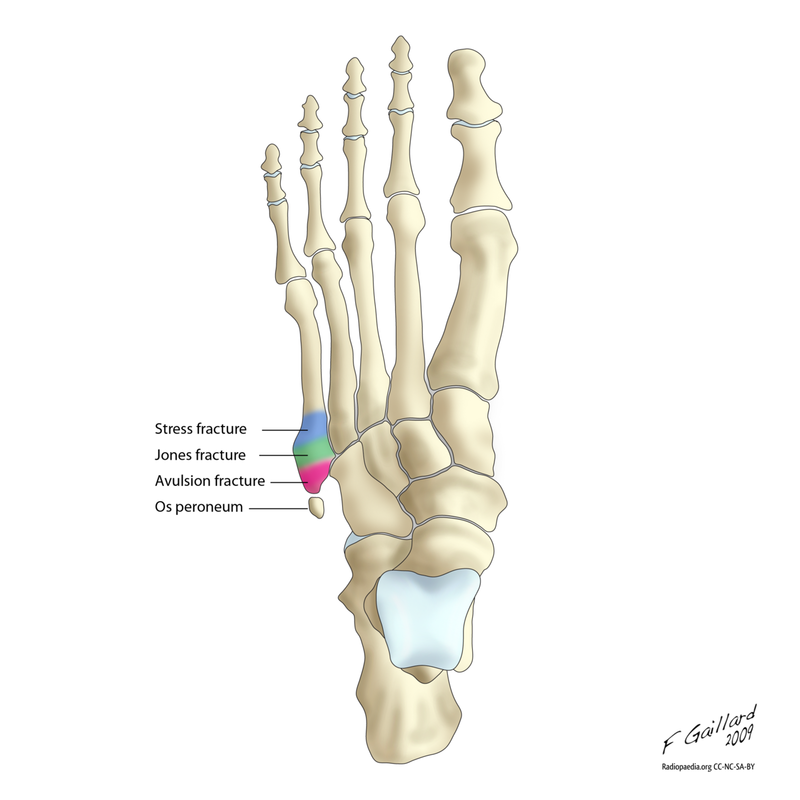 The Peroneus Brevis tendon runs in front of the Longus tendon and inserts on the bump (Styloid process) of the 5th metatarsal (the long bone before your Pinky Toe). Due to the position of the tendon, it is mainly responsible for everting the foot (pulling the foot outward and away from the center of your body). However, when you have an abnormally high arch, this tendon is forced to work harder in order to carry out its full range of motion. Additionally, since this muscle is tucked closer to the outer ankle bone, it is prone to friction and rubbing against the groove of the bone, which may cause tendon degradation, known as Tendonosis. Over time, the weakened areas of tendonosis may cause the tendon to tear or split in half, which could lead to multiple problems and may need surgery. The Peroneus Longus tendon wraps underneath the lateral aspect of the foot and runs along the sole of the foot to its insertion point on the large bump (Tuberosity) of the 1st Metatarsal. The path of this tendon is kept in place by a groove along the bottom of the Cuboid bone, which also acts as a pulley for this muscle. Due to the course of this tendon, it is responsible for stabilizing the 1st metatarsal and arch of the foot during gait, while assisting in plantarflexion and eversion of the foot. In a normal foot, when the Longus contracts the cuboid moves slightly upward, this gives the tendon a mechanical advantage in order to pull the medial longitudinal arch closer towards the ground. However, due to your high arches, the bones of your feet including the cuboid tend to be in a more rigid and fixed position. Therefore, your Peroneus Longus experiences extra stress from this lost mechanical advantage because it pulls harder in an attempt to bring the medial arch closer to the ground. Over time, this excess pulling causes strain to the muscle. If you have structurally abnormal high arches then your body weight is naturally distributed on the lateral aspect of your foot. This uneven weight distribution causes chronic tension on the lateral ankle ligaments, which are known as the Calcaneofibular, Anterior and Posterior Talofibular Ligaments. Chronic tension causes the ligaments to stretch, which decreases the lateral stability of your ankle. If you have high arches than you need to be extremely cautious when playing sports or activities because your foot is prone to rolling inward, which would ultimately cause an inversion ankle sprain. Additionally, when you tear or sprain the ligaments of your ankle, you are prone to inflammation of the peroneal tendons, a condition known as Peroneal Tendonitis. After experiencing a sprained ankle, it is common to see Peroneal Tendonitis because the tendons work harder to provide stability to the vulnerable ankle joint. As these tendons work harder, they can tear or slip out of their groove, which can lead to inflammation of their tendons. The third type of injury that is more commonly associated with non-neurological high arches is fracture to the 5th metatarsal, which again, is the outermost long bone of the foot. The 5th metatarsal is commonly injured because it experiences increased contact with the ground, which results in an unequal distribution of body weight along the fifth metatarsal. Over time, this small bone endures increased stress from overuse, which leads to tiny hairline cracks throughout the bone, known as stress fractures. 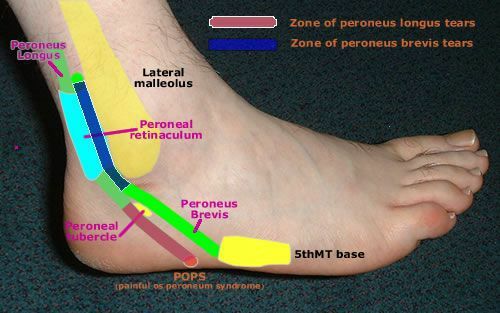 As we previously mentioned, the Peroneus Brevis tendon is attached to the 5th metatarsal which commonly overworks in order to combat the abnormal, structural position of high arches. Therefore, the increased tension from the contracting Brevis muscle has the ability to pull off small bone fragments from the 5th metatarsal at its insertion point. This type of fracture is commonly seen during inversion sprains to the ankle. It is relatively clear that there are specific pathologies that are more common and likely to occur when your high arches are due to a non-neurological issue. However, all of the conditions previously mentioned have a higher probability of occurring when one of them is present because they all contribute to the normal physiological structure of your foot during stance and gait. Regardless of the underlying factor of your high arches, we hope that you are giving your feet the proper care they deserve. You should see your podiatrist in order to assess the best way to care for your high arches and prevent a more serious problem down the road.